DC Comics Universe & July 2019 Solicitations Spoilers: Second Green Lantern Series Launches! It’s NOT For Kyle Rayner, John Stewart Or Guy Gardner, But For Sojourner “Jo” Mullein In DC’s Young Animal’s Far Sector?! Second Green Lantern Series Launches! It’s NOT For Kyle Rayner, John Stewart Or Guy Gardner, But For Sojourner “Jo” Mullein In DC’s Young Animal’s Far Sector?! 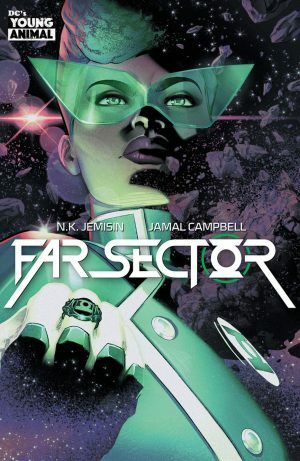 Far Sector debuts in “late 2019“.